Kiwi Ferns to Play World Cup Warm-up Game in New ZealandRugby League World Cup 2017 (RLWC2017) is delighted to announce that New Zealand fans will get the opportunity to watch the Kiwi Ferns play a warm-up match on home soil before they contest the Women’s Rugby League World Cup 2017, which kicks off in Sydney in exactly 100 days. The Kiwi Ferns will fine-tune their World Cup preparations by playing New Zealand Maori Wahine Toa at Waikato Stadium ahead of the men’s RLWC2017 pool match between Samoa and Tonga on Saturday 4 November 2017. Kiwi Ferns captain Sarina Fiso said: “This game against New Zealand Maori Wahine Toa will give the squad the best possible preparation for this year’s Women’s Rugby League World Cup as well as providing the opportunity to play in front of family and friends, which means so much to the team.”It will also give us a taste of the Rugby League World Cup atmosphere before we head across to Australia,” she concluded. “With ticket prices starting from $45 for a family of four, it will be a great chance for fans to watch two games for a very affordable price,” she concluded. The Kiwis Ferns have been drawn in Pool B of this year’s Women’s Rugby League World Cup and will play Canada (November 16), Cook Islands (November 19) and Papua New Guinea (November 22) in the pool stages.Chairman of New Zealand Maori Rugby League John Devonshire said: “It’s a fantastic opportunity for the New Zealand Maori Wahine Toa team to be playing on such a huge occasion with a great atmosphere. “It’s also a great chance for our players to test themselves and help the Kiwi Ferns prepare for the Women’s Rugby League World Cup.”Previously part of the user-pays Festival of World Cups, this year’s tournament will be first time the Women’s Rugby League World Cup has been held as a standalone event, with the pool matches to be played at Southern Cross Group Stadium in Cronulla (Sydney) as triple-headers onNovember 16, 19 and 22 with the semi-finals to be played as a double-header on November 26. The tournament will see both the men’s and women’s finals played as a double-header in Brisbane on 2 December 2017 – the first time two World Cup winners will be crowned on the same day, on the same stage.Australia, Canada, Cook Islands, England, New Zealand and Papua New Guinea will be the six teams to contest this year’s tournament. Australia are the reigning champions with th The RFU, which announced record revenues last year of more than £400m, said its priorities shift between the XVs and sevens programmes, with the World Cup Sevens and Commonwealth Games taking place next year. It said the England XV side will continue to take part in competitions, and that it has invested millions of pounds in the women’s game, including £800,000 annually on a new domestic competition aimed at increasing and improving the talent pool available for selection for England. But Allin-Khan wrote: “The England women’s team are a source of inspiration to countless girls and women the length and breadth of the country. “The players have played their part. Many left careers in other professions to commit themselves fully to representing their country.”The RFU is placing the risk of playing international rugby on the players themselves.”The most concerning aspect of this news is what it says about the RFU’s ongoing commitment to the women’s game. The discontinuation of these contracts sends the message that the RFU is far less than fully committed to the women’s game. The eighth Women’s Rugby World Cup is taking place in Ireland from Aug 9-26, with England defending their title. The first tournament took place in Wales in 1991. From 1994, the event has taken place every four years. But this year’s competition has been brought forward by a year to leave three years between it and the Olympic Games because of the introduction in 2016 of rugby sevens, which many XVs stars also play. Twelve teams will take part. As well as traditional rugby nations – such as England, France, Ireland, Wales, Italy, Spain, Canada, the USA, Japan and Hong Kong are also competing. Scotland, though, failed to qualify. In a letter seen by BBC Sport, Dr Rosena Allin Women’s Rugby World Cup -Khan tells chief executive Ian Ritchie of her “deep concern” Despite England preparing to defend the World Cup next month, the RFU said its focus will switch to the sevens game after the tournament. ”To make this decision is deeply disappointing,” wrote Allin-Khan. “Asking players to pause and resume their professions every two years puts their futures at considerable risk.” Yet for those who have to juggle their sporting careers with full-time jobs, the run-up to a tournament can be as much a logistical challenge as it is a feat of physical endurance. The Women’s Rugby World Cup starts in Ireland on Wednesday, and Wales are in the same pool as four-time champions New Zealand, previous runners-up Canada and Hong Kong. It is a daunting draw for a team who finished eighth at the 2014 World Cup and won just one of their five Six Nations fixtures this year. For Wales’ players, however, just making the squad has been an enormous effort. Sian Williams and Charlie Murray are the only Welsh female rugby players to have signed professional deals, but neither are in this squad. Among the 28 making the trip to Dublin are an accountant, a teacher, a vet, one who works for a company which designs gambling machines, a farmer and a member of the army. Utility back Jodie Evans is a mental health nurse, working in the autistic and challenging behaviour unit at a hospital in Carmarthen. Training with Wales means making several journeys a week to Cardiff, which can last an hour and a half each way. ”I’ll work a morning shift to train in the afternoon or work an afternoon or evening shift to train in the morning,” the 26-year-old says. ”My job is quite a lot of responsibility, so rugby is like a de-stress from work. Clearly, the trudge from Carmarthen to Cardiff can be a tiresome one. But the monotony of the M4 may seem merciful compared to the journey Jess Kavanagh-Williams faces from north Wales. Playing rugby and the pride of representing your country is a release for those such as Kavanagh-Williams, though professional contracts for female players has been the subject of much debate lately. It was announced in July that full-time deals for England women’s 15-a-side squad will not be renewed after the World Cup despite the side being defending champions. 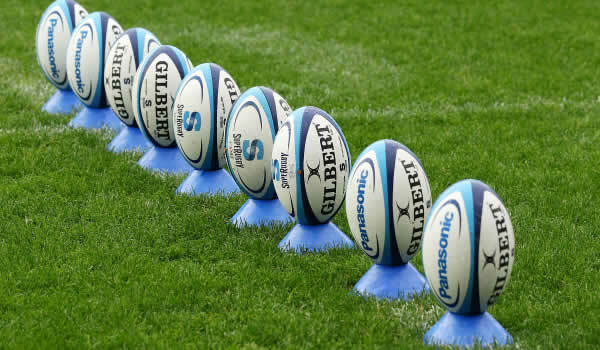 The Rugby Football Union said its focus will switch to the sevens game after the tournament, and the decision was met with criticism. The prospect of professional contracts for Wales’ women en masse seems remote at the moment, but Kavanagh-Williams lives in hope. “People have been talking about it for a few years but nothing big has happened yet in Wales,” she adds. ”After what’s happened in England, I don’t know what the WRU [Welsh Rugby Union] is going to do. But it’s quite exciting for players starting in the game – it needs to be pushed now.” Wales start their campaign against New Zealand – who have won four of the seven Women’s Rugby World Cups – on Wednesday in Dublin. Canada, runners-up three years ago in France, are next the following Sunday and debutants Hong Kong will be their final pool opponents. It has been dubbed the ‘group of death’ by some and, with only the three pool winners and the best runners-up qualifying for the semi-finals, there is little margin for error. The odds are stacked against Wales, ranked 10th in the world, but the players have travelled to Ireland in high spirits. ”We’re in a good place at the moment, everyone’s feeling really positive,” says Kavanagh-Williams. “We can’t hide the fact we’ve got a tough pool. Everyone knows where we’re at and we’re confident that we can compete with the best. After claiming their first Six Nations Grand Slam confidence is high in the England camp as they head towards Ireland to defend the Women’s Rugby World Cup. England’s 29-21 win over New Zealand back in June saw the Red Roses claim the International Women’s Rugby Series title after previous victories over Canada and Australia. The result of beating the Black Ferns lifted them to number one in the world rankings and firmly places England as pre-tournament favourites. “Any team that goes to the World Cup will be going there to be win it. We know there will need to be a step change in the level of performance that we need to take when we get to Ireland.” England are favourites to top Pool B where they will face Spain, Italy and the USA however Hunter isn’t leaving anything to chance. Hunter, is preparing for her third Women’s Rugby World Cup and she feels this tournament will be the best and most competitive yet. “This is probably the most competitive World Cup I have been involved in, the standard of women’s rugby has grown and grown and grown. That’s brilliant. As an international player, you want every game to be competitive and to have to play at your best to get the result you need.I think it will be a fantastic showcase of the women’s game.” You can watch the Women’s Rugby World Cup live on ITV this August, starting with England’s game against Spain on ITV4 and the ITV hub next Wednesday from 1:30pm. With the competition extended to incorporate the Southern Kings from Port Elizabeth‚ Jaguares from Argentina and Sunwolves from Super Rugby 2017 Live Japan‚ there was at first a curiosity variable to the competition.There was additionally an adjustment in the reward point structure requesting that groups would need to score no less than three tries more than their rivals to acquire a take a stab at scoring reward point. Regardless of the gimmicks‚ the oddity of a competition quick wore off as the developing acknowledgment unfolded in fans that more rugby improved rugby. Super Rugby's extension to a 18-group tournament‚ played in six nations and one city-state‚ crosswise over 16 times zones‚ more than six months with six distinct logs was oppressive. The consequence of a New Zealand or Australia derby no longer had any impact on a South African group's fortunes on the grounds that a general consolidated log was evacuated. The competition highlighted 135 matches‚ up from 125 in 2015 and crucially‚ a large number of those recreations had little intrigue and Super Rugby Live effect outside of their own conferences.Those three new groups made an eight-group South Africa Group‚ which incorporated the Bulls‚ Cheetahs‚ Lions‚ Sharks and Stormers – split into two meetings. There were three logs: Africa 1 and Africa 2. Then‚ their focuses were tabled by and large in a third‚ general SA Conference log. The Bulls‚ Stormers‚ Cheetahs and Sunwolves made up Africa 1 meeting. The Cheetahs‚ Kings‚ Sharks and Jaguares‚ Africa 2. The victors of every meeting (The Stormers and the Lions) progressed to the quarterfinals‚ while the third-set group in the consolidated South Africa log (The Sharks) took the third quarterfinal spot. Australia and New Zealand each had their own particular conferences‚ likewise with a consolidated Australasian Group log. Toward the end five groups from their consolidated log progressed to the quarterfinals. The Hurricanes‚ Chiefs‚ Highlanders and Crusaders qualified from NZ while the Brumbies were Australia's sole quarterfinalists. From its most punctual days in the beginner era‚ the competition has dependably been an uneven and biased rivalry on account of topographical difficulties. In any case, in the 2016 incarnation it was all the more confounding and maybe even uncalled for. The Stormers‚ for instance‚ did not play any New Zealand groups in 2016 (not until the quarterfinals in any event). The Sharks and the Lions did not meet an Australian enemy. There were excessively numerous uneven matches and average contests‚ especially between gathering rivals and an excessive number of amusements that implied little in the general setting of the tournament.The Kings and Sunwolves were woeful and the Jaguares neglected to adjust to the week by week rigors of meeting great restriction so routinely. At last the three new sides included little esteem while both the South African and Australian meetings endured a decrease in principles as player assets were extended by the extension. When Will Start Super Rugby 2017 Live? New Zealand's meeting remained the most aggressive and had the play-offs been chosen a general log rather than the thought up gatherings system‚ which ring-fenced no less than one play-off delegate from each conference‚ the gross picture would have been distinctive. The Lions flew the banner for South Africa by achieving the last against the Hurricanes in Wellington.It was an astounding accomplishment for a group that was consigned from Super Rugby in 2013. Mentor Johan Ackermann did ponders with a group that played a carefree‚ assaulting brand of rugby. He scarcely put a foot wrong‚ in spite of the fact that his choice to take a "moment" string group for their last pool coordinate against the Jaguares in Buenos Aires‚ which they lost‚ denied the Lions completing top general log.Had the Lions completed first they may have facilitated the last rather if making the difficult excursion to New Zealand's capital. Having played splendidly at home to beat the Crusaders (42-25) and the guarding champion Highlanders (42-30) in the quarterfinal and semi-finals respectively‚ the Lions missed the mark in the away last. The Hurricanes' 20-3 triumph in the last implied that each NZ establishment has now won Super Rugby. - TMG DigitalUnder Virat Kohli's captaincy India have turned into the most grandiose group in the amusement. Wouldn't it be terrible on the off chance that they came to South Africa next summer and earned the privilege to swagger by winning the Test arrangement? 2. Australia progressing fair.Having smacked the Aussies 5-0 in a one-day arrangement and beaten them 2-1 in a Test elastic a year ago, the exact opposite thing South Africa need is for the uber-focused rats to come here next season and even the score. 3. Hashim's horrors.Few players have Super Rugby 2017 Live Stream had so expansive and enduring an effect on any group as Hashim Amla has had on South Africa. He's been an awesome for quite a long while now and he will never lose that status. However, it will hurt if his present drought continues for any longer. 4. Dale's dodgy bits.The same goes for Dale Steyn, whose exceptionally nearness on the field lifts South Africa and transforms them into a far superior group. Yet, Steyn's not kidding wounds - three last season - are a stress. 1. Late arrangement of the Springbok coach.If Allister Coetzee will be sacked before the end of January, his substitution must be named rapidly. Another mentor must be allowed to enhance the shambles that is Bok rugby right now. 2. Allister Coetzee remaining on as South African coach.Eight crushes in 12 Tests was the most noticeably bad return in a schedule year in Bok history. Coetzee's reason of being delegated late can just go in this way. His group decayed as the season wore on and Coetzee was not able discover answers. He fluttered about, playing players out of position and permitted group culture to disintegrate. His essential undertaking is to make a domain of greatness. He fizzled. 3. Cover determination of abroad based players for Boks.Coetzee was permitted to pick the same number of abroad based players as he needed. Yet, in spite of this outcomes were poor. He frequently groaned that it was hard to incorporate those players because generally entry times yet nobody constrained him to more than once pick those abroad based players. An obvious arrangement that allures players to stay in South Africa is required. 4. Pointless Currie Cup qualifying tournament.The Vodacom Cup fell away a year ago and SA Rugby supplanted it with a repetitive Currie Cup qualifying competition. The six Super rugby establishments were ensured a place in the Currie Cup head division. It was absurd . 1. Another Bafana mentor losing the plot.Something about that occupation just appears to transform mentors into a fuming chunk of crazy franticness. Gordon Igesund, Pitso Mosimane and Shakes Mashaba. They all begin well however there is regularly an eight-month time span for this special night. A couple of intense outcomes, an indication of feedback and they change into distrustful creatures like werewolves from the moonlight. The SA Football Association is expected to delegate their new mentor in the following couple of weeks. Ideally, the new officeholder will take in one major lesson from his antecedents - don't talk refuse. 2. Fakes drilling PSL teams.It's been an awful begin to 2017. Stamp Harrison has as of now been delegated as specialized chief of last-set Baroka FC. Head mentor Kgoloko Thobejane may need to begin getting apprehensive, as the term specialized chief is characterized in the football dictionary as "mentor in holding up". Not that we are throwing defamations on Harrison.The Englishman, however, has a positively touchy reputation in the PSL. Clubs retreading punctured tire mentors drag down the steps made by clubs who have made sensible, noteworthy arrangements, for example, Stuart Baxter, Gavin Hunt and Pitso Mosimane. 3. Ernst Middendorp coming back to South African football.Really, with reference to the above point about the imposter honing treadmill, as much as the flammable German has some instructing reputation and family, his reputation of failing to be ready to remain at a club for long should most likely now have alarmed future businesses that Middendorp is not an easy win. Subsequent to estranging himself with the forces that-be in neighborhood football by leaving Maritzburg United in November on account of the general population proclamations he reliably made about acting PSL CEO Mato Madlala, Middendorp has secured himself an occupation at Bangkok United. He ought to appreciate the baht he's winning, the shorelines, the bars, and the place of refuge of Thailand. 4. Steve Komphela's Jesus references.Please Steve, no. We adore your parallels comparing football strategies to swimming outfits, however the scriptural reference you made after Kaizer Chiefs lost 2-1 against Mamelodi Sundowns had TV questioner Rob Marawa confounded and left whatever is left of us as oblivious.